In 2009 I, along with my good friend Sherman Graves, founded MALECCWI. We did so because we felt it was important that people get the best concealed carry training available and we felt the best training logically came from the best instructors. 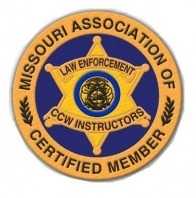 The benefits you receive by getting your concealed carry instruction from a member of our association are great. Your training comes from a true professional, not only as that of an instructor, but that as a current or former law enforcement officer. Whatever instructor you choose, he or she is aware that if you find yourself in a legal court proceeding because of an armed encounter you were engaged in, he or she will more than likely be summoned by your attorney to testify on your behalf. Do you want the person on the stand testifying on your behalf to be the fellow down the street who works in the factory or sells insurance during the week and went to a basic NRA instructor’s course so he could make a few hundred bucks on the weekends? Someone who has never filled out a police report or a statement? Someone who has never taken the seat as a witness in court, and is unfamiliar with the court room environment? Or do you want someone who will testify that is very familiar with the procedural environment. Someone who has filled out police reports, affidavits, and other legal documents on a daily basis? Someone who is very comfortable on the witness stand? You see, the benefits can carry on way past the training. The choice is up to you!